Representatives from CARE for AIDS, an organization that meets the physical and spiritual needs of AIDS patients, showed up at her little, tin shack bearing a white five-gallon bucket from Baptist Global Response. Their organization was working with BGR and with the local Kenyan church to distribute hundreds of these in the area. The mother of three looked at the gift and thanked the men. But, they waved off her gratitude. The bucket isn’t the gift, they told her. She needed to look inside. Rosemary sat down next to the gift. She was tired. AIDS was wearing away her immune system, and she was struggling to care for her family. But, she took off the bucket’s lid. 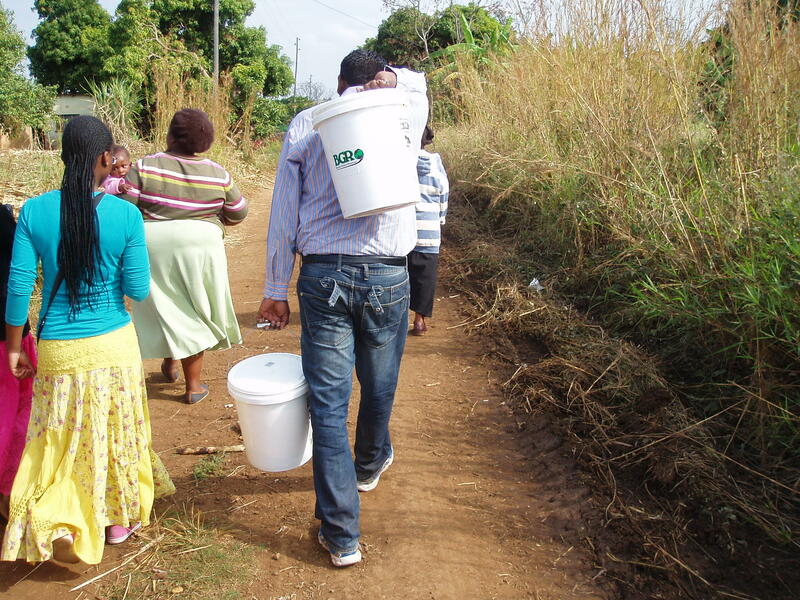 The bucket was an in-home care kit and contained items to ease pain and encourage healing for those with HIV/AIDS. Rosemary pulled out socks, lip balm, latex gloves, straws, petroleum jelly, vitamins and more. But when she pulled out bed sheets, Rosemary stopped. Tears appeared in her eyes. She had not been able to afford fabric in a while. She had watched her friends go to the market and come back with cloth, but she never had the money to purchase such a thing. Now, she could cover her bed in it. She wrapped the sheets around herself and declined her guests’ offer to help spread them across her mattress. She wanted to clean her entire house before putting the sheets in place. They were special. These men had given her so much more than a bucket. They had given her joy in the middle of her battle with AIDS. You can help someone like Rosemary by packing and raising money for BGR Hospice Kits. Click here to learn more about The Bucket Project.